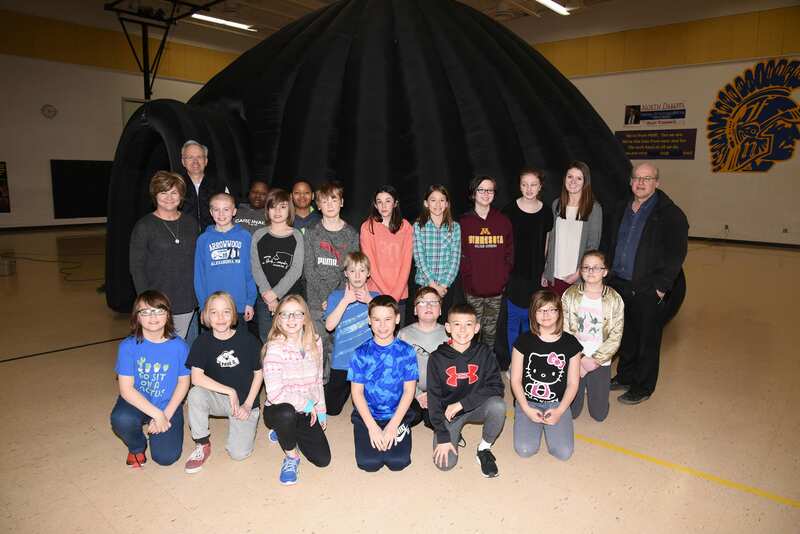 A few days ago, students at Fargo’s Roosevelt grade school were able to catch a glimpse of the universe from an unusual perspective: Viewing the universe through the technology of the UND GeoDome, a portable planetarium system that travels to K-12 schools throughout North Dakota in its mission to engage students in astronomy and science. 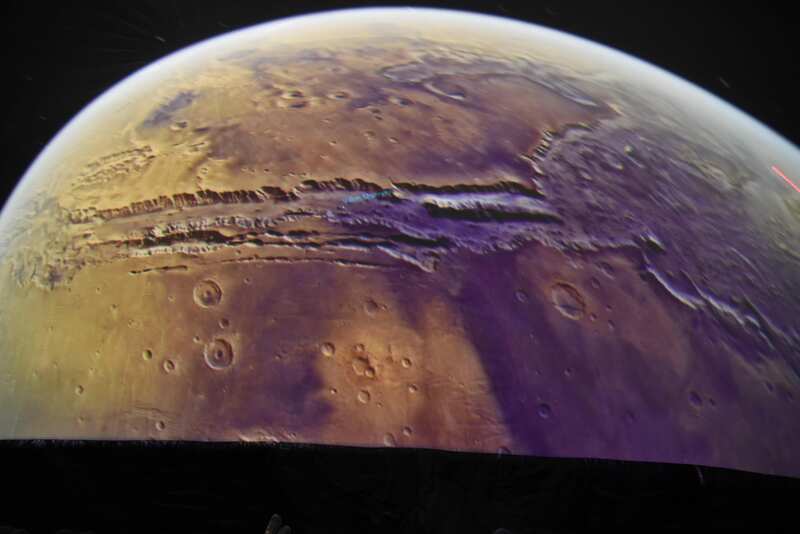 Astronomy, physics, geography, meteorology, and even some biology can be visualized in the GeoDome’s 3-D immersion simulation. Viewers can travel from earth to the Big Bang, or as these young students did, travel to our nearest neighbors in the solar system, featuring close-up views of planets like Mars and Jupiter, along with a perspective of the galaxy as it whirls through space. A unique aspect of the project is hearing about star knowledge from a Native American storyteller. Students gaze up at the constellations associated with different tribes, and powerful connections are made between the lives of humans and the stars above. 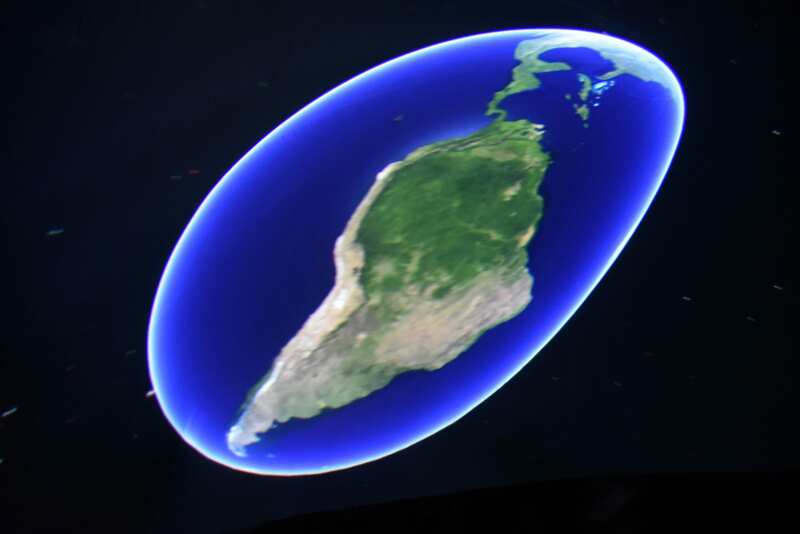 Shows vary depending on the storyteller’s knowledge and in some cases a fulldome presentation of “Tales of the Maya Skies” is shown. The GeoDome project is hosted by the University of North Dakota Department of Physics and Astrophysics, funded by ND EPSCoR, under the Innovative and Strategic Program Initiatives for Research and Education-North Dakota (INSPIRE North Dakota) NSF EPSCoR RII Track-1, as an education and outreach activity of the Center for Regional Climate Studies (CRCS) with Astrophysicist Dr. Timothy Young from UND and Physicist Dr. David DeMuth from Valley City State University. Begun in 2014 as a means to engage students in science, the GeoDome shows are offered at no charge to K-12 schools in North Dakota. Young and DeMuth travel to the various schools and host the programs, offering a visual and inspiring story about the workings of our amazing universe. Specialized programs may be available upon request. 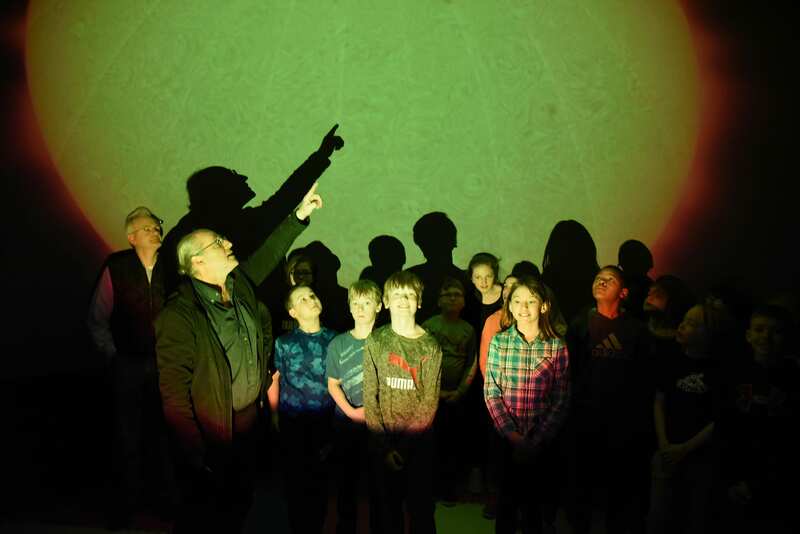 For more information about hosting the GeoDome at your school, please contact: Dr. Young at 701-777-2911 or tim.young@und.edu; or Dr. DeMuth at 701-845-7437 or david.demuth@vcsu.edu.